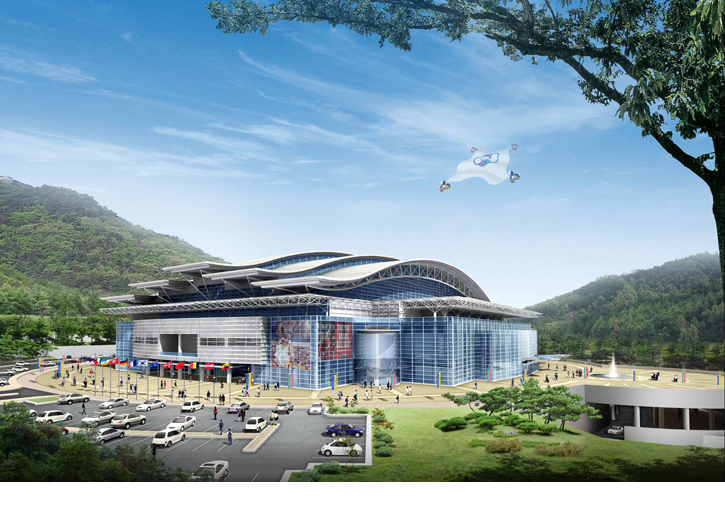 Cheongshim World Peace Center will hold 25,000 people and will be the biggest and greatest composite cultural center in South Korea where various events, performances, exhibitions, and sports could be experienced. It is planned to be used as a place of cultural arts event , education events & seminars, and sporting contests. It is an iconic building that will be recognized world wide at its completion.